Professor Chucklebutty has been looking at the work of art by Banksy, which, for now, stands on the wall of the derelict Whitehouse pub in Duke Street. The pub, which recently sold at auction for £114,000, is to become “luxury apartments” and the owner, Billy Palmer, a club owner, from Kirkby, plans to paint over the work, because he doesn't like modern art. "I'm not a fan of modern art, I can't say I know much about it really," Mr Palmer told The Guardian after buying the building at auction. "All I was concerned about was getting this great building for a good price. This is perhaps the second insult. Council bosses had the whole thing covered up at the start of 2008, European Capital of Culture year, because they deemed it an eyesore. They later relented after it was explained to them. In actual fact, this Banksy is a rarity because it was signed by the artist, although that bit has long been nicked. But some people won't be told that it's a rat and not a cat. The Professor has reached the view that the artistic subject matter is more akin to a large black and white cat, rather than a Rat, despite it having a rodent's tail – although that bit's largely been nicked too. In an attempt to resolve this debate, he has commissioned his close friend, well - known Liverpool Artist and Poet, Reggie McCough to present his argument for him through verse. It looks like a Felis Cattus, to give the Latin name. You’ve done a cat and that is that, go back to drawing school. You wouldn’t call Epstein's Kiss “Gorillas On The Job”. as Da Vinci said, give me the look like you’ve got the love eggs in. Whistler’s “Dad In Drag” has not the warmth of Mother Dear. Botticelli’s Birth of Venus makes her much less of a trollop. If they had gone to auction, labelled as a bunch of daffs. If his paintings were of Katy, The Oxo Cube cubist? They t’ought they taw a puddytat when it saw the light of day? Well call it what you want mate, I know what I can see. It’s a cat and not a rat that adorns the old Whitehouse. Look at it, admit it, what are you, a man or a mouse? Mr Palmer is stupid to paint out the Banksy Cat/Rat - most of his intended purchasers of "luxury apartments" (puke) would probably pay extra to have this super art work on the outside of the building they inhabit.Come on Liverpool City Planners, stick a protected painting order on this building and stop this philistine removing a fun piece of art! Mr Derek HargreavesFebruary 22nd 2010. I wish I had of went to that Auction! I would have bid more than that and saved the Banksy! Since quite recently. I wondered when you would notice. Anyone going to Alex Corina's bash in Garston this evening? Schalken the PainterFebruary 22nd 2010. Ah, that's what happens when we believe what we read in national newspapers of record. Thanks LB, will amend accordingly. put loads of banksy art work up inside too!! I couldn't give a toss. More importantly we need to nip the HeARseGrAVes/ ChuCkAbutTie feud in the bud. We can't have fighting on these pages. We should all join hands and be friends. Lots of love, Dig. Sorry, I mean Banksy. It was not actually commissioned by Liverpool Biennial, but was a welcome addition all the same! doesn't matter what it is really... just that it is a Banksy and with that it has become a tourist attraction... the purchaser of this 'pub' should keep it a pub - it will make a lot of money - it's historic as a pub and the modern art angle now makes it unique.... DON"T BE A FOOL!!! KEEP IT AS A PUB!! KEEP THE ART WORK!!! Dig, people in London get paid many millions of pounds by our own city council to think of such ideas. Stop dropping your Es so casually. I wonder what Banksy would make of this. Actually...now you mention it, it does look a bit like a Pitbull...the fat head and piggy eyes..hmmmm perhaps an apology is in order......oh wait no..I was looking at your Facebook photo. Awfully sorry. Oh no...it's daRren HarDSLleevEs! Don't you be coming it on here mate, not in front of my public. I suppose you think you know all about dogs, living over the battered dogs home, and pinchong the Chappie from their bowls for your sandwiches no doubt.Offering them to old ladies round the bowling green. I've heard all about it from Mr Clack. he's been spying on you compiling a dosseryay. Never mind my eyes if you think it's a dog then you want your head testing. Pitbull my terriarse! I may ask Reggie to write an odd odour about you. Ken The Feral MoggieFebruary 22nd 2010. I can settle this right now. It is a cat. because I know who modelled for it. It was our Maureen. That Banksy promised her that this was the start of a whole new career and she would be Elizabeth Siddal (or Tiddals) to his Rossetti. It was all rubbish of course, he legged it with his brushes, after giving her a tin of pilchards and a phoney contact number. She's still digging in the bins round the back of Berry Street. Silly cow! Yeah keep it as a pub. Could even try to get a Banksy exhibition in The Black-E and rename it 'The Banks-E' for the duration of the exhibition. Luxury flats? On that noisy, busy corner? My arse! Obviously it is a cat. But the problem here wee Dig is that this 'Banksy' didnae paint a rat or a cat, he just sprayed paint through a crude stencil making the image ambiguous. It's hardly Rembrandt! Here, look at this close-up. It plainly has a CAT's muoth. A rat has two long rodent teeth projecting downwards and backwards at all times. Quite right Felix, as I said at the start, it is quite clearly a Cat. Now there was a recent interview between that great pudding of an art critic Brian Suet and Reggie McCough, in which Reggie said he now believed that it may be a weasel. Well take no notice of that, he's just doing a poem about art in Liverpool for the biennial and needed a rhyme for easel. He didn't even know what the Biennial was, he thought it was something to do with Fred Scuttle. I said that's Benny Hill you fool. This is the Biennial, it comes round every...erâ€¦.everyâ€¦..now and then. Anyway a little research down at the records office has proved beyond any doubt that this painting is definitely celebrating a cat, and a very famous one too, known to all Liverpooliots and celebrated in song. The so-called Banksy Cat is in fact a tribute to none other than Moggie May. Yes the idea for the painting is all there in the original song. Then you can show your tail to one and all. Did you know that the famous Liverpool Liverbird is actually an Emu? Yes, it´s the same as the one on the Coat Of Arms belonging to Hull. Yes, apart from that English dolt, poking his dilettante nose into our healthy Scandinavian web pages. 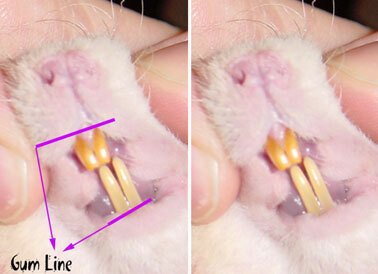 Rats have long, protruding front teeth just like The Whiskerley Sisters on 'Pinky and Perky'. The painting clearly that of a cat. If the liver bird is actually an emu as the Professor contends, that would explain why it was that when I was in primary school the pencils were all stamped with 'Liverpool Education Committee' and the rubbers with 'EMU'. Judge S. WeintOctober 14th 2010. Of course it should be kept as a pub, too many of our landmark amenities are disappearing to be replaced by cheaply-built, ugly flats for quick profit. The problem is of course that high property prices mean that speculators can make a handsome killing by replacing any buildings they buy with flats, no matter how well-loved by the community about or whatever its architectural merit or cultural credentials. On the other hand who would want to run a pub in these parlous times, particularly since the smoking ban has turned most pubs into doomed financial millstones around their landlords´ necks rather than profitable assets? There´s no doubt about the answer to the other question though. It´s a cat. Nothing like the painting on the wall!